I have been doing some research regarding the most popular Palm Pre Accessories that are available today and I have to admit that some of the findings are pretty interesting. 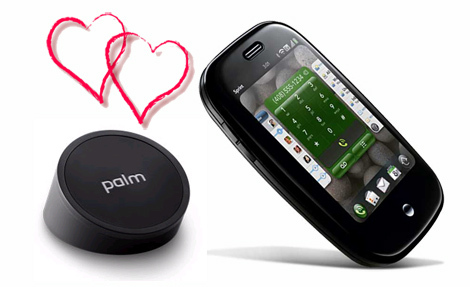 The _overwhelmingly_ single most popular Palm Pre accessory is none other than the innovative Palm Touchstone – an item that over 50% of Preonauts choose to buy. 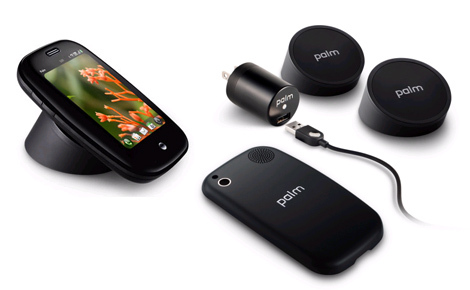 The #1 category of Palm Pre accessories is related to “Power” (including not only the Touchstone but also a battery, car charger, wall charger, Sync & Charge cable, USB cable and spare battery charger) which combined account for between 60–70% of the Top 30 products purchased. The #2 category is perhaps not surprisingly “Care” with holsters, cases, cleaning cloth and screen protectors. 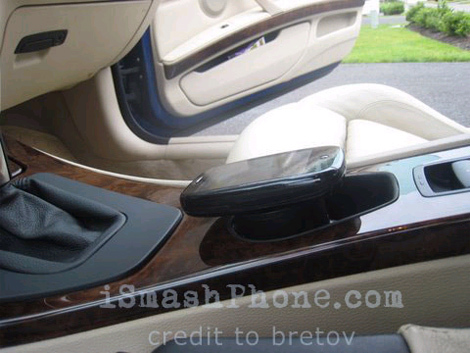 The #3 category is “Car Kits” with the iGrip Phone Holder and iGrip Universal Fit Vent Mount. Lastly, the most popular Bluetooth headset is currently the Plantronics Voyager PRO but I would very highly recommend the considerably cheaper Jabra BT530 that I absolutely love. The Palm Pre is certainly not without its faults but the Touchstone is an absolutely unique accessory that currently only Preonauts can enjoy. The overwhelming popularity of the Touchstone is a testament to the ingenuity and renewed market savvy of Palm engineers and designers – a very cool little gadget. For those completely infatuated with the Touchstone it’s clear that having “only” one is simply not enought. A great number of Preonauts are choosing to buy a second Touchstone dock to, for example, keep at the office. This ultrathin yet ultrastrong protective “invisible body skin” is made from the same material used to protect military helicopter blades and ensure that you can keep your Pre fully protected from accidental scratches that may occur during daily use. As an aside I happen to really like the tecture of the film – particularly when you use your fingers on the touchscreen. 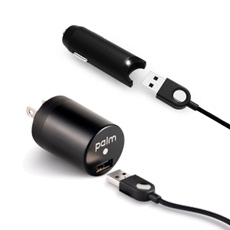 A lot of people appear to favour this original Palm car charger but to be honest I personally found the Motorola microUSB Car Charger to be considerably better – not only because it’s cheaper but also because I love the overall design of the product. As I recently found out, not all microUSB wall chargers work with the Pre and at present the cheapest option is this Seidio wall charger but another better one should be available from Smartphone Experts soon. These screen protectors are not the best that I’ve ever come across but they do get the job done – something that seems to be more than enough for most people. This is the first holster available for the Palm Pre and it’s surprisingly good – one of the most ideal solutions to quickly answer calls by your side. Having said this, just this past week Seidio released another Palm Pre holster which now also offers audio port access. Perhaps one of the most basic accessories in any smartphone arsenal, this retractable sync & charge cable is small and light – measuring only 4.5 inches when closed but a full 2 feet when open. Always highly recommended. This travel cable from Palm is designed to be lighter and shorter (76cm) than the standard microUSB cable – ideal when you want to pack less when on the go. Over the coming weeks I will also be taking a closer look at these bestselling accessories and review each individually. Although I’ve had my share of issues (nothing really major) with the Palm Pre I have to admit that I have been very (pleasantly) surprised to see just how overwhelmingly positive the general feedback has been to date – it appears that the vast majority of Preonauts are either extremely or very satisfied with their purchase. The Palm Pre webOS is still far from perfect in its v1.0.4 iteration but it does nonetheless seem to offer a veritable wealth of possibilities – something that until now only the iPhone appeared to provide. Enable the option for center button LED to blink or stay lit (based on user preference) as a visual notification indicator when screen is off. As I had already outlined in my Palm Pre Battery Life Tips post, there are many ways that you can improve battery life with some simple tweaks. Having said this, what Preonauts evidently _really_ want is for Palm to figure out a way to either build a higher capacity battery for the Pre and/or to figure out ways to further optimize the OS to deliver longer battery life. Enable the ability to customize control over all system sounds and events, i.e. separate sounds for New SMS, New Email, New Voicemail, etc. Enable visual voicemail feature, with a position slider to move back and forth within the voicemail. I have to assume that Palm did not add video recording simply because it did not have the time to complete this function in time for launch but that it will become available soon. The release of the Palm Pre SDK (Software Development Kit) is probably inevitable, but vote this one up if it's of interest for YOU. Allow the optional ability to toggle an onscreen keyboard, which would be especially useful in landscape mode. I absolutely love the physical keyboard on the Pre but it’s also true that sometimes I wish that I didn’t have to slide the keyboard out and could simply type on the screen. The main implementation limitation is likely going to be that the screen is too small to fit a virtual keyboard in portrait mode but a landscape mode should be feasible. My coworkers with their Blackberry's and their Palm Treo's have no problem getting good signal strength in my area. Why should those of us who have adopted the Palm Pre suffer with poor signal reception? Allow customizable "Today" screen as optional homepage replacement, which could include the latest two emails or text messages, the next two calendar events, etc. This definitely gets my vote – I would love to have a Today screen with modules from apps such as weather, email, calendar, messaging and more all integrated in one view (much like on my Treo Pro). Allow the use of the phone as an internet connection via USB or Bluetooth. Considering how much you’re paying for the phone, voice and data plan it’s kind of ridiculous that the Pre does not offer tethering. 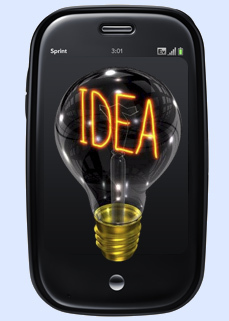 Please note that this is _entirely_ an issue related to Sprint and not Palm though. Need the option to disable the backlight when using the Touchstone charger. For both conservation of LEDs and excess ambient light at night. Allow the user to set a preference to slide out the keyboard to answer a call, and slide in the keyboard to hang up a call. I never knew how much I depended on this feature! I get tons of emails every day, and the ability to search the inbox is greatly needed. Add the ability to dial contacts and control music settings with spoken commands. A Touchstone charger for the car would be mighty handy, especially for extended trips that require the Pre's excellent GPS Navigation App! Now that over 100,000 Preonauts already have a Palm Pre in their hands it’s clear that one of the first things on their minds is ensuring not only that they learn as much as possible about their new smartphone but also that they get as much as they can out of it. One particular area – maximizing Palm Pre battery life and performance – appears to have grown to be that of most concern. 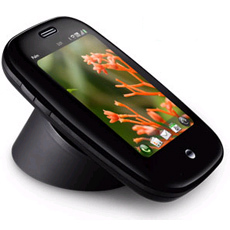 Although the Palm Pre delivers a healthy 5 hours of Talk Time under normal conditions, it appears that in some circumstances – particularly for 1) Power Users who want all functionality and features to be ON all the time and 2) people who are within an area that has poor Sprint wireless coverage (one or two bars) – the Palm Pre battery can drain more quickly (within half a day). There are undoubtedly things that Palm can and will do to further enhance the Pre battery performance but the fact is nonetheless that, as with many other devices, overall battery life ultimately depends on how you use your phone. In this respect, you can maximize the life of your battery by following a few easy guidelines and/or buy a variety of power accessories such as the great Touchstone charger or simply a spare battery outlined below. If you set up an email account in the Email application, set the interval to automatically download email to every two hours or less frequently. Avoid excessive use of instant messaging (IM). 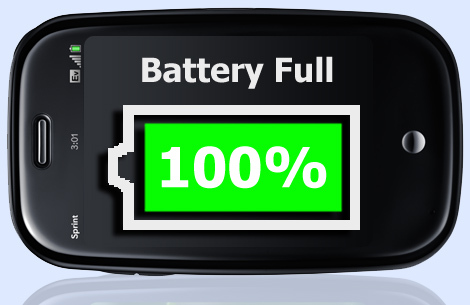 Frequent use of IM can significantly reduce battery life. Turn off the Wi-Fi, Bluetooth and GPS features when you are not using them. As with any mobile phone, if you are in an area with no wireless coverage, your phone continues to search for a signal, which consumes power. Turn off your phone if you are outside a coverage area. Keep your battery away from direct sunlight and other sources of heat. Temperatures over 50 degrees Celsius (120 degrees Fahrenheit) can permanently reduce the capacity and life span of any lithium-ion battery. Overall I have found that one of the single greatest drains on battery life on the Pre is poor wireless coverage (one or two bars). As outlined above, the issue is that the lower the wireless coverage the greater the power requirements on your Pre is and therefore the faster the battery will get drained. If you are in an area with poor wireless coverage but within reach of a WiFi network then turn on the WiFi on your Palm Pre as this greatly reduces the overall power drain. This happens because once connected to WiFi your smartphone will stop using Sprint’s wireless data network and instead use your local WiFi – something which proves to be much more efficient from a power usage perspective in poor wireless coverage areas. To be honest with you, I find most of the manual battery optimization tips above to be extremely tedious and overall one of the things that keeps annoying me with increasing frequency about our “Digital Lifestyle” is that so few companies actually enable proactive “smart” software solutions for their customers – solutions that could automatically help aleviate the burden of having to do something manually and/or repetitively. In the case of the Palm Pre battery optimization, I would envisage that it would be fairly easy to create an application that automatically adjusts all the necessary settings on your smartphone to provide you with maximum battery life. For example, you could have a setting that automatically sets your phone to Airplane Mode if no wireless coverage is detected within a specific time frame (eg. 10 minutes) – something that would be ideal if you forget to turn off your phone on a plane, have long underground train journeys or happen to be in an area of no coverage for long periods. Additionally, one of the most frustrating things for me is to suddenly find that my phone is _completely_ dead. Here Palm could implement an automated setting that again turns off your phone when battery levels reach a certain percentage (eg. 10%) so that you could always have just enough power left should you for example need to make an emergency call – having even 5% of battery power left is a hell of a lot better than 0% and makes a huge difference. I’m sure that with a little imagination the engineers at Palm could expand on these ideas and deliver even more options to ensure that 1) battery life optimization burdens are kept to a minimum and 2) that you always have just enough power left to make a couple of urgent calls. HOME: Charge your Pre overnight using either a wall charger or the great and currently unique Touchstone charging base so that you can have 100% power first thing in the morning. HOME & OFFICE: Keep your Pre resting on the Touchstone or plugged into a wall charger when not in use throughout the day (sadly the Touchstone cannot charge from a USB port on your PC). CAR: Keep your Pre plugged into its car charger whenever you are driving. Palm Touchstone $39.95 (Dock Only): If you already have a Touchstone at home for example then you can simply get a second for the office. One of the great advantages of the Pre is that it has a removable battery. By buying an extra spare battery you’ll be able to quickly and simply double your power while on the go – for example for long plane trips or periods of heavy use. 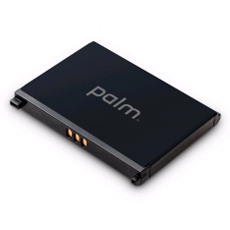 Additionally, Palm has also just made available a Spare Battery Charger (pictured above right) to make it that much easier to keep your extra battery charging (works with both wall and car chargers) either overnight or while you’re using your primary one. Note: Your Palm Pre battery has a much longer useful life when it is topped off frequently than when it is charged after it is fully drained. 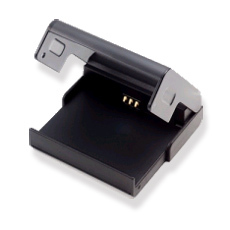 The Palm Touchstone is therefore a great accessory to have at your desk for example so that you can always keep you Pre docked and charging within reach when not in use. Getting your contacts, calendar events, and tasks onto your Palm Pre is perhaps the first and single most important step to begin exploiting the capabilities of your new smartphone. In my case, since I have over 3,500 contacts neatly stored in a multitude of Outlook folders with hundreds of categories and sub-categories the whole sync issue has been particularly important to figure out properly. If more and more of the data you use to keep in touch with people and organize your life is stored on web services such as Facebook and Google then your new Palm Pre, with its unique Palm Synergy feature, is designed to give you access to this personal information when you’re on the go. You can take advantage of Synergy to get your personal information from these web services and onto your Pre so that you can enjoy an unparalleled mobile experience. Synergy not only brings together your information from Google, Facebook, and Microsoft Exchange, it also displays the information in one simple, integrated view. If you’re already using Google, Facebook, or Exchange to manage your data you’re pretty much all set as Palm’s Synergy works with all three. Although I have both Google and Facebook accounts I don’t use these to manage my contacts or Calendar. At the same time, although I have considered setting up a Microsoft Exchange account I don’t have one for now so overall this option really does not apply to me. Having said this, as Palm states, if you do use Google, Facebook or Exchange for your PIM then it is _extremely_ easy to sync with them. Use a third-party app to sync your desktop application to Google, and Synergy takes it from there. On your computer, set up an a Google Mail (Gmail) account if you don’t already have one. Google Sync keeps your Outlook calendar in sync with Google Calendar. For a variety of PC data sources, including Palm Desktop by ACCESS and Outlook, CompanionLink keeps contacts and calendar events in sync with Google Calendar and Gmail Contacts. Tasks also sync but as calendar entries. Google Sync keeps iCal in sync with Google Calendar. There is also a solution for synchronizing with Address Book. Sync’Em automatically keeps Mac Address Book in sync with Gmail Contacts. Follow the instructions of the third-party app to sync the data in your desktop app with Google. The next time Google syncs with your Pre, your data appears on your phone. I use Outlook on Windows and therefore tried CompanionLink (CL) to sync to Google and from there to my Pre but so far with very mixed results. Although CL managed to properly connect my Outlook with Google and get the data to show up on my Pre, for some bizarre reason which I was unable to resolve, it would only sync some 600 of my 3,500 contacts… I hope that there will be an update that fixes this issue for me but if you have under 500 contacts then CL seems to be an ideal and very simple solution. Would you rather sync your Pre directly to your Windows computer over WiFi without going through the web? For this there’s PocketMirror. 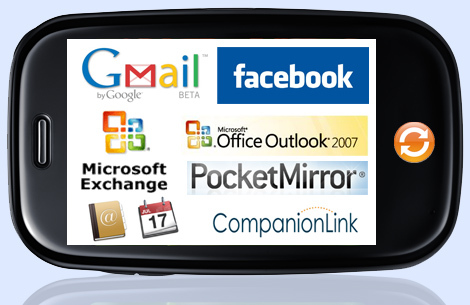 Chapura PocketMirror for Outlook syncs contacts and calendar events between Outlook and your Pre. PocketMirror can sync your Outlook data whether you use Outlook as a standalone application or in conjunction with Microsoft Exchange Server. It works with Outlook 2003 and 2007. On your Pre, open App Catalog and download PocketMirror. On your computer, download PocketMirror software for Outlook on Windows. On your computer, launch the PocketMirror installer and follow the instructions to complete setup. It’s a shame that PocketMirror only works on Windows and that it (currently) only syncs one primary Outlook Contacts folder because this truly is a superb and extremely simple solution. As long as your Pre and PC are connected to the same WiFi network you can wirelessly sync all of your contacts and calendar items wirelessly – very cool. One major hassle though is the fact that Chapura provides no telephone support whatsoever (only via email) and you may therefore have to wait quite a while to fix any issues that you may encounter. Additionally, I really hope that Chapura will soon provide a Premium version of PockeMirror that can sync multiple Outlook Contact folders + that Palm will support Categories in the Contacts app (something that I consider to be quite urgent). Option 4: How do I get PIM data from my old phone? Do you need to get data out of an old phone? Most service providers can transfer contacts from your old phone. An agent in one of your service provider’s stores can help you. phone, be sure to tell the carrier agent which account to transfer the data to. Do you want to sync your personal information between your Pre and Google or Exchange, but first need to get the data out of a desktop app (such as Palm Desktop or Outlook) that you want to stop using? You can do a one-time, one-way transfer of data to your Pre, and then if you choose to, use Synergy to sync the data to Google or Exchange. To transfer data from a desktop app that you want to stop using, go here for more information about the Data Transfer Assistant (DTA) – it’s a free download. The DTA transfers data from selected desktop apps to your phone through the USB cable included with your phone. You can sync this data with Google or Exchange, or back it up to your Palm profile. The Palm Data Transfer Assistant (DTA) provides a one-time, one-way transfer of data from your computer to your phone. The DTA transfers contacts, calendar events, tasks, and memos from Outlook and Palm Desktop by ACCESS on Windows, and contacts and calendar events from iCal and Address Book on Mac. When you transfer data to your Pre phone, you must assign the data to an account on your phone. You can assign it to one of your online accounts that sync (Google Gmail or Microsoft Exchange), or you can assign it to your Palm profile (this means your data is backed up to a server but can be accessed by you only on your phone). If you want to sync your data to Gmail or Microsoft Exchange, you might want to set up one of these accounts on your Pre before you use the DTA. Otherwise, you can set up the account from your Pre when you’re asked where you want to store your data (see section 3 for more information). Note: If you’ve previously been syncing data from another phone, you may want to sync data one more time to make sure that your desktop data is up-to-date before you transfer it over. Running the Data Transfer Assistant. If you haven’t done so already, put the DTA application on your computer. Use Data_Transfer_Assistant.exe for Windows or DTA.dmg for Mac. Then, launch the DTA. Follow the onscreen instructions to select your data source and to connect your phone to your computer, using the USB cable that came with your Pre. The DTA transfers your data to your phone. Windows users: If the DTA finds a valid version of both Palm Desktop and Outlook on your computer, you'll be able to select the one you want to transfer data from. For Palm Desktop, if the DTA finds more than one profile in Palm Desktop, select the profile that is associated with the data you want to transfer. Your profile is in the upper-right corner of Palm Desktop ("User"). Syncing your data or backing it up to your Palm profile. After the data is transferred to your Pre, you’ll be instructed to disconnect your phone from your computer. On your Pre, you will see a screen that asks you where you want to store your data. You can select a Google or Exchange account or back the data up to your Palm profile. After you assign the data to an account on your phone, the transfer begins immediately. Note: It may take a little while for the data transfer to complete. If you’re syncing with an online account for the first time, it may take additional time. What happens to my data after the transfer is complete? If you transfer data to an online account, changes you make to the data on your phone are synchronized with the online account. If you back up data to your Palm profile account, the data is stored on your phone and backed up to your Palm profile. This data is not available through any online account. I downloaded and installed the Data Transfer Assistant application to my PC and from there was able to very quickly and simply transfer all the data to my Pre. From there I selected to sync this data to my Gmail account. As Palm notes in the above instructions though, the full data transfer over-the-air may take quite a while to complete – particularly if you have a large PIM database like mine. Overall I have not yet found the “ideal” solution for my (arguably somewhat unique) PIM needs – which requires synching to multiple Outlook folders with hundreds of Categories/Sub-Categories and literally thousands of contacts – but I have still managed to put the basic PIM information that I need on my Pre. I very much hope that Palm, Chapura, CompanionLink or another third-party solution will eventually come out to meet my needs. In the meantime, I believe that if you have under 500 contacts in your address book then any one of the five options outlined above will prove to be more than adequate. If like me you’re on Windows and prefer to sync via your desktop, then I think that you’ll find Chapura’s PocketMirror an excellent solution. CompanionLink follows closely behind as my second choice but this requires that you keep your data in the “cloud” via Google – something that I don’t personally mind but that others may not be too convinced about. Lastly, if you do choose to sync between your Pre and Google as your preferred solution then Palm’s Data Transfer Assistant will at least ensure that you don’t have to manually re-enter all of your data there – it does however mean that both your Pre and Google become the only places to manage all your PIM data. It appears that mark/space is getting ready to release The Missing Sync for Palm Pre which will allow you to sync directly with your computer to manage contacts, music, photos, ringtones, docs & files, calendars, video & home movies, safari bookmarks as well as podcasts. The great news is also that the Missing Sync for Palm Pre will be available in two separate versions for both the Mac and Windows. The Missing Sync for Mac works with applications you already know and use — Address Book, iTunes, iCal, Entourage, Safari and iPhoto — to let you transfer and sync information and files between your Mac and Pre. There is apparently another solution [thanks Palmdoc] to sync between Outlook and your Pre via Google called gSyncit – a Microsoft Outlook add-in that allows for synchronization of calendars and contacts between Google and Outlook. I haven’t tried it yet but it looks very promising. As you may already know, your Palm Pre can actually work with Apple’s iTunes to sync your music and photos (it treats your Pre as if it were an iPod). Another very good solution for media sync is also offered by a company called doubleTwist.